The year 2015 has arrived. Perhaps, we have already made some goals for this year. We may plan to do more exercise or eat less food. Perhaps, we want to travel more, or have a goal to get out of debt. In light of our goals for 2015, will we take the time to do an inventory of our spiritual lives? 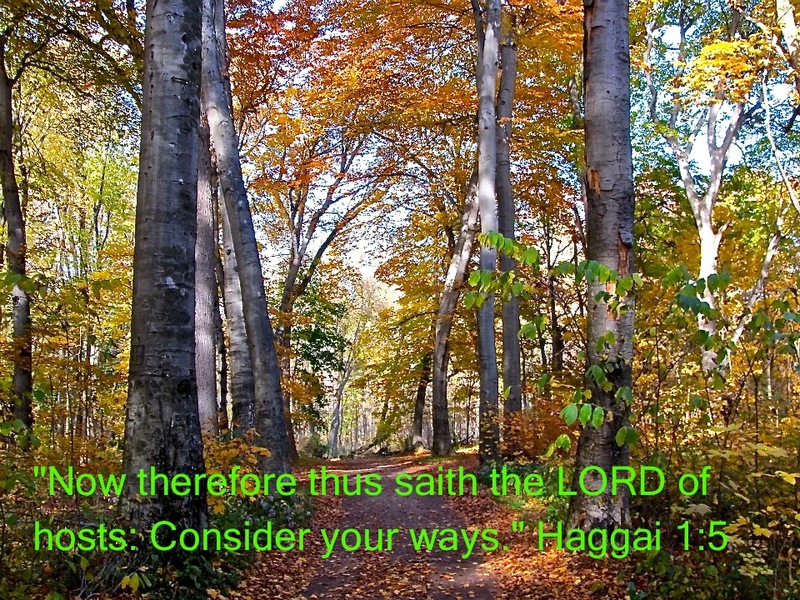 God says in Haggai 1:5: “Now therefore thus saith the Lord of hosts; Consider your ways.” God’s people had returned to their land, but they had neglected to rebuild the temple. They were too busy with their own affairs. to concern themselves with God and His priorities. Today, we often neglect our spiritual lives because we become preoccupied with all the activities in this world. Like the Israelites, have we neglected to take an inventory of our relationship with God? The word “consider” means to note thoroughly, to perceive clearly, to think deeply. This word is used sixty-six times in the Bible. Why does God place such a priority on this word? Is it because He knows that we have the habit of keeping busy so that we don’t take the time to consider our walk with Him? Here are some questions to help begin an inventory of our spiritual lives. 1. How well do I know God? “That I may know Him.” (Philippians 3:10) These words show Paul’s great desire to know the Lord in a personal way. He didn’t just want to know about God, but to know Him as His Father, Lord and Friend. To know God means to spend time with Him in His Word. This means that we study His Word to learn more about His character, His works, and His promises. To know God means to spend time in prayer with Him. To know God also means to spend time meditating upon Him in order that our love and desire to please Him will grow. 2. How well do I know myself? “Search me, O God, and know my heart: try me, and know my thoughts:” (Psalm 139:23) We often find it difficult to allow God to search every aspect of our lives. We like to focus on all of our “good points” and we tend to ignore our sins or weaknesses. God gives us His Word to enable us to see areas that we need to change in our lives. When we read the Word of God, do we allow God to convict us of our sins? Do we allow Him to show us areas in our lives in which we need to improve? Do we allow Him to show us our apathy in spiritual matters? Examining our lives may not be pleasant, but it is a great step in moving forward in our spiritual lives in 2015. 3. How well do I use my time? “Redeeming the time, because the days are evil.” (Ephesians 5:16) Time is a gift that we often waste on matters that are not very important. We have many tools today to save time; yet we seem to have less time than ever to do those things that are important. He encouraged others by his example. He did this with his generous gift to the church (Acts 4:36-37). The Bible also says about Barnabas: “He was a good man, and full of the Holy Ghost and of faith:” (Acts 11:23) If people followed our example what kind of Christian would they be? He encouraged others with his words. Barnabas was a leader who encouraged the early church in Antioch with his words (Acts 11:23) We can use our words to discourage a person or to encourage them. We have come to another crossroads in our lives. We have a great opportunity before us. What will we do with this opportunity? We can move forward in our spiritual lives or we can remain stagnant. God desires us to move forward in our spiritual lives. Will we take the time to make an inventory of where we are spiritually?